Camp Hope is a 501(c)(3) nonprofit organization. Any veteran wounded in the Global War on Terror is welcome to attend Camp Hope - all expenses paid - including travel. 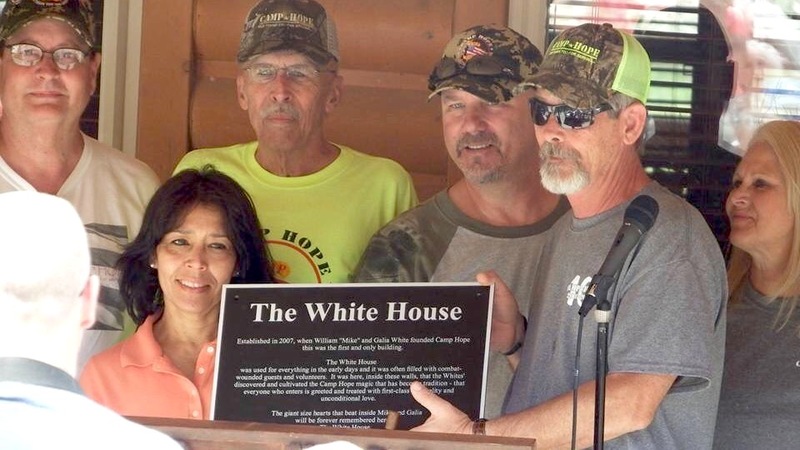 Camp Hope provides ADA-compliant cabins, food and supplies, and an attentive all-volunteer staff to accommodate veterans with almost any disability. Since 2007, hundreds of veterans from across the country have experienced the camaraderie, and benefitted from the healing powers of Camp Hope. William "Mike" and Galia White founded Camp Hope after their son paid the ultimate price for our freedoms while serving in Iraq in 2006. These Gold-Star parents treat every guest of Camp Hope as members of their own family. Their love, compassion and selflessness is the secret sauce that makes Camp Hope such a special place. This sign now hangs on the first building used at Camp Hope to accommodate the heroes that travel through our gates. 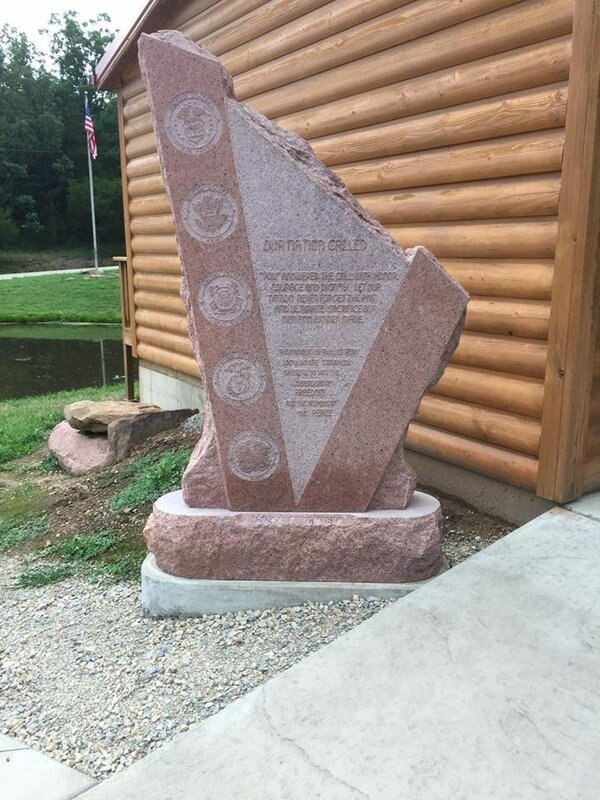 It is the only building on Camp Hope not named in honor of a fallen hero. active-duty and serves on the Camp Hope Board of Directors.